Hi everyone, I am happy and excited for my last session in Madrid TechSum. 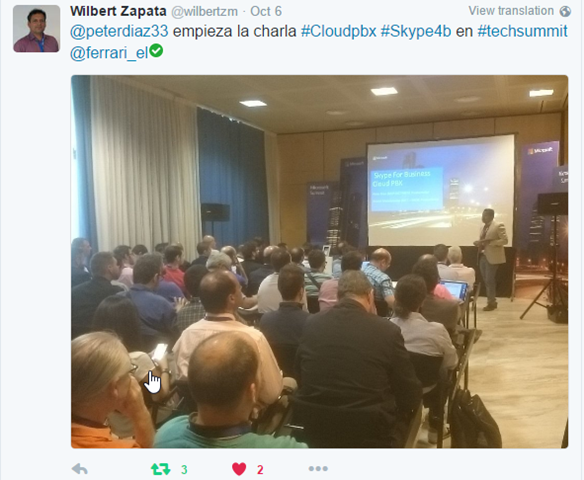 We were talking about Skype for Business Cloud PBX and the new features, integration with CRM, ERP and the Skype for Business API with ORTC (Object Real Time Communications). 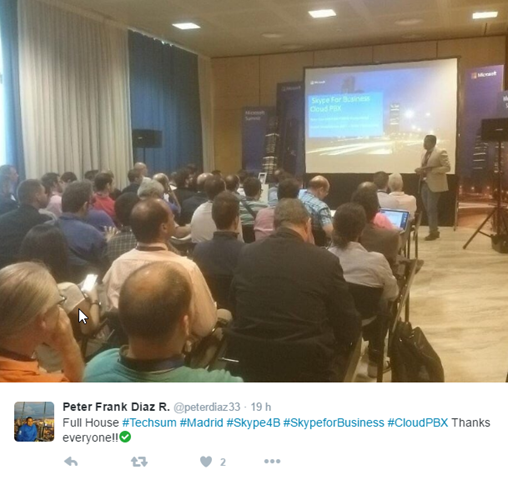 Hola a todos estoy muy contento por mi ultima sesion en el TechSum de Madrid, donde estuvimos hablando acerca de Skype for Business Cloud PBX, integracion con CRM-ERP, desarrollo de la API y OBRTC (Object Real Time Communications). 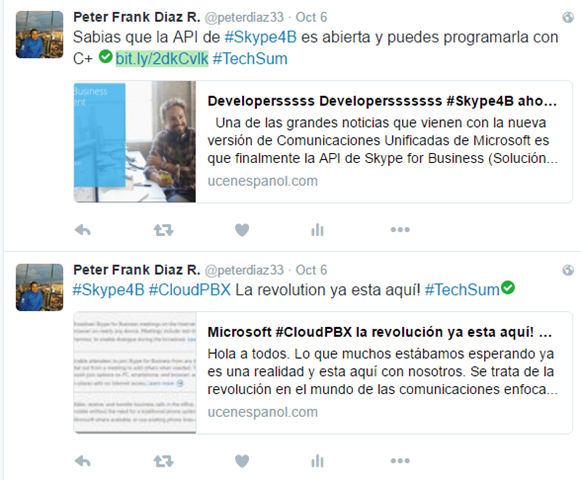 By peterdiaz33 in Lync, Noticias, Skype For Business on 8 octubre 2016 .